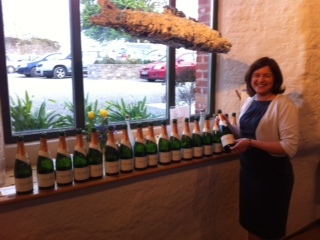 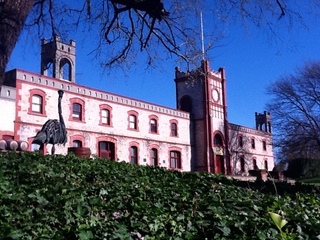 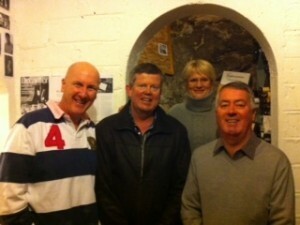 Visiting the school recently were Murray & Chaise McHenry of McHenry Hohnen Wines, Margaret River, Western Australia. 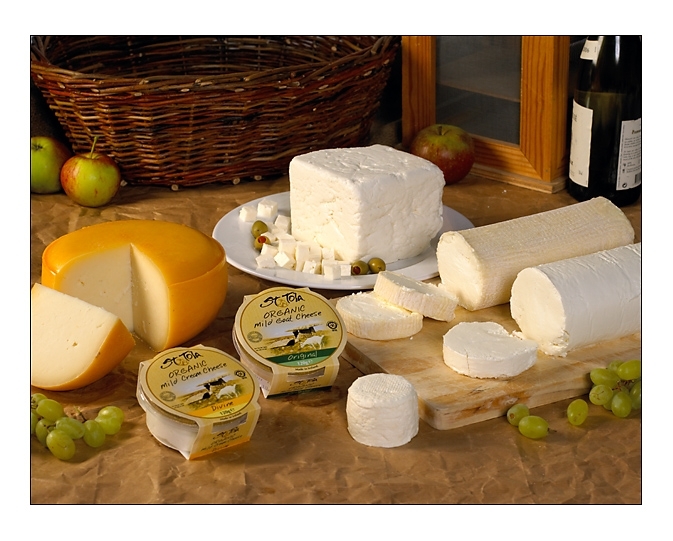 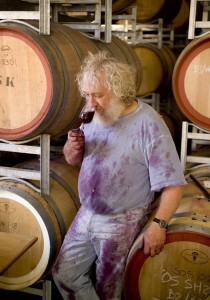 Murray also, along with David Hohnen, was responsible for starting Cape Mentelle Wine, Margaret River in the early 1970’s, and subsequently, Cloudy Bay Wine, in Marlborough, New Zealand. 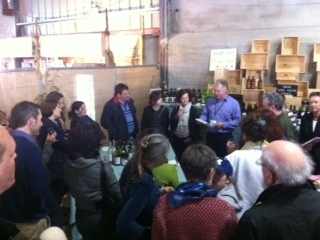 Murray spoke to the students about McHenry Hohnen Wines, and Margaret River, which is a really beautiful part of the world, and also the lovely café they run overlooking the ocean, and their wine bar, ‘Steves’, in Perth. 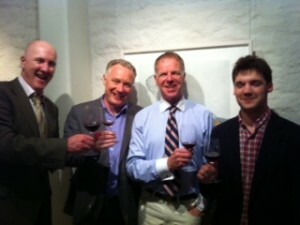 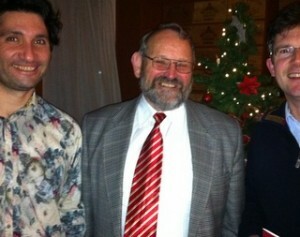 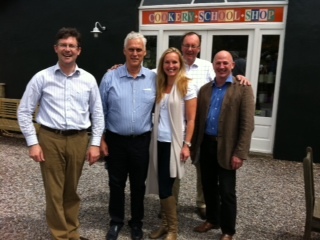 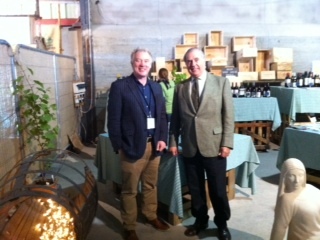 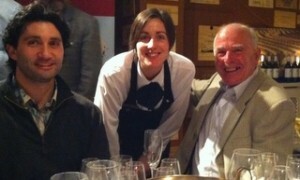 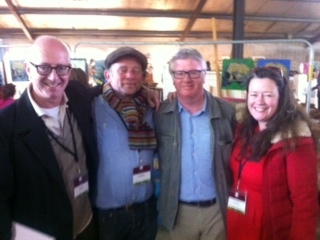 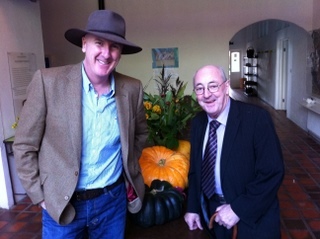 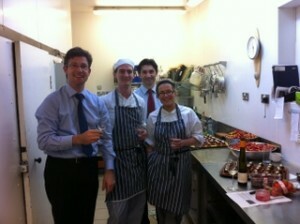 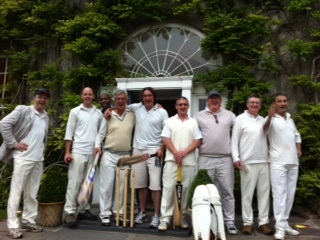 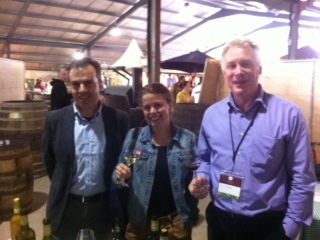 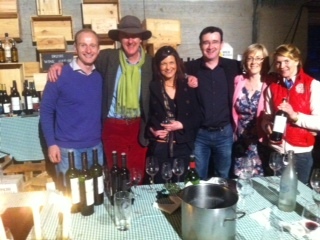 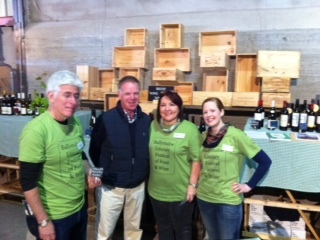 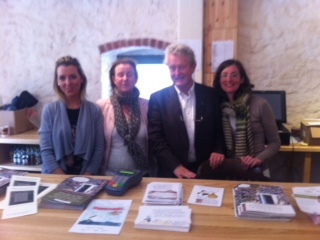 Pictured with Murray & Chaise at Ballymaloe, are Anthony Tindal and Pascal Playon of Tindal Wine Merchants. 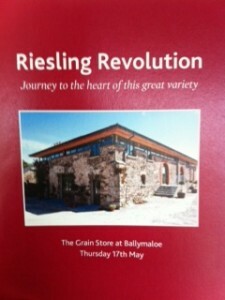 We are looking forward to also welcoming back to Ballymaloe, David Hohnen, for our McHenry Hohnen Margaret River event in East Cork, on 27th September 2012 – more details here and along with a great wine tatsing from a super winemaker, we will also have a number of events that day as well, including surfing in Ballycotton Bay and a cricket experience on the lawn at Ballymaloe with the East Cork Cricket Club, pictured below – finishing with Ted Berner’s Wildside Catering ‘Fire Cooking’ Harvest Supper – bringing Margaret River to East Cork! John Quinlan, from Shanagarry, Co. Cork, and wine & bar man at Ballymaloe, is presently in The Barossa, South Australia learning all about making wine – who knows, with John’s new found expertise, there might well be a Chateau Shanagarry in the future! 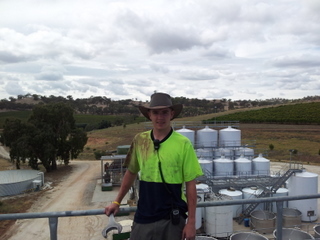 John is working in Thorn Clarke winery in The Barossa – pictured below in the middle of harvest. 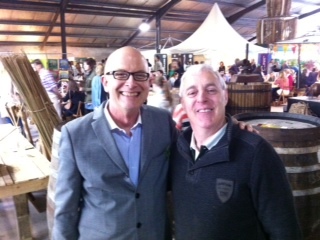 We wish John a busy and sucessful vintage, and no doubt John will also take the opportunity to catch up with many of the famous names in the Barossa Valley, and beyond, whom he met during their visits to Ballymaloe over the years, along with everything from the Wine Australia presentations and tasting by John McDonnell, Wine Australia Ireland, who is a regular guest wine lecturer at Ballymaloe Cookery School. 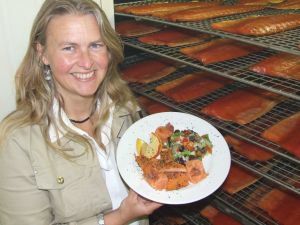 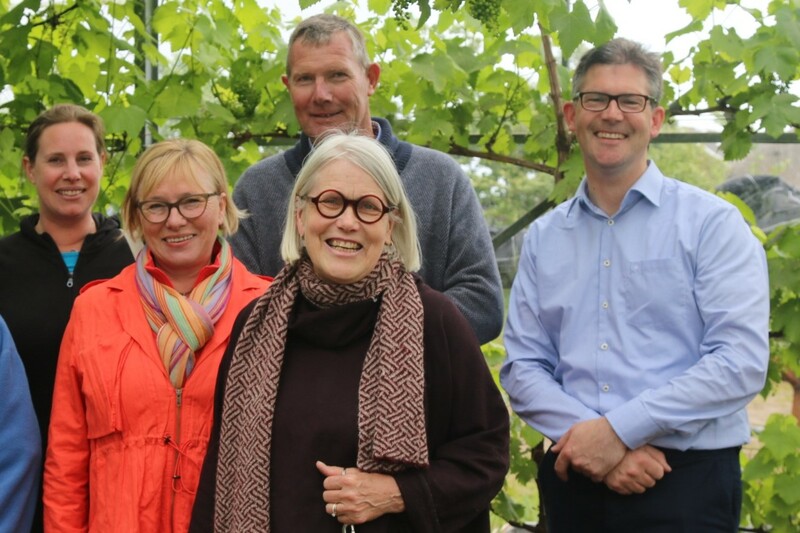 See Yalumba’s Jane Ferrari visit to Ballymaloe here, and Turkey Flat’s Christie Schultz visit to Ballymaloe here (also mentioned in today’s Irish Times wine column, on The Barossa, by John Wilson). 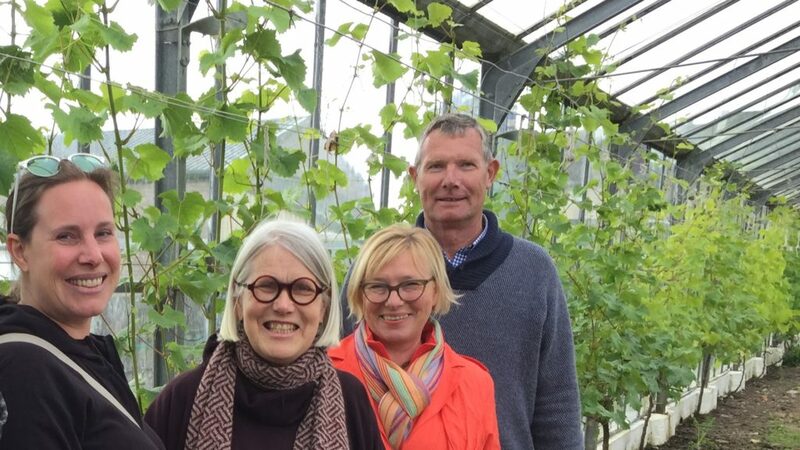 Delighted to welcome to Ballymaloe, Chris and Robyn Pfeiffer, Pfeiffer Wines, Rutherglen, Victoria, Australia, pictured here taking some time out of their busy schedule, and ahead of a very special tasting in Cork city on Tuesday 6th December. 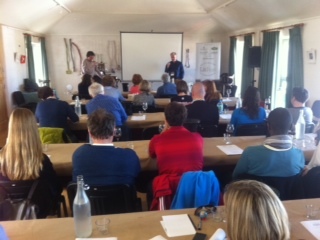 Delighted as always, to welcome back regular guest wine lecturer, John McDonnell, Manager Wine Australia Ireland – and the students were treated to a masterclass on Australian wine by John. 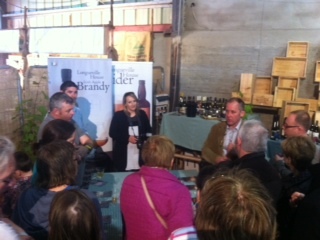 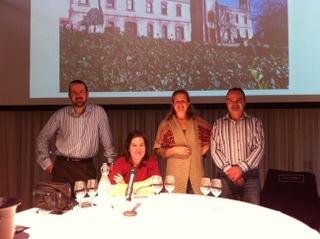 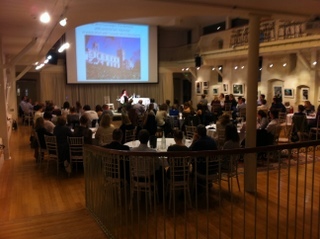 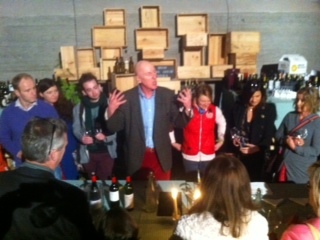 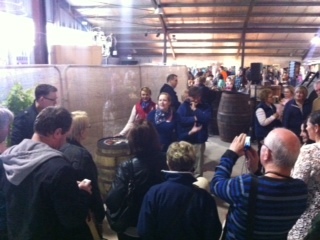 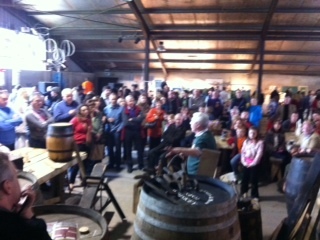 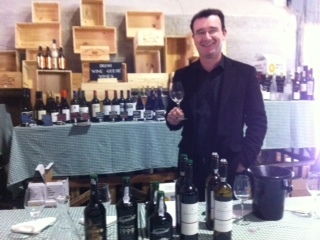 Pictured: John in the demo room with the students for the Wine Australia presentation. 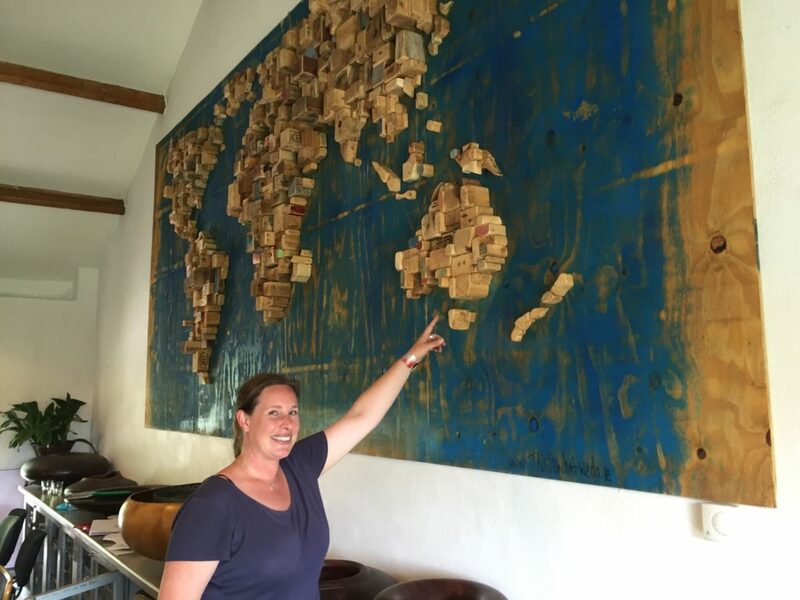 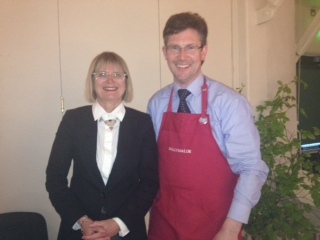 On Thursday 29th of September I was delighted to meet with Jane Ferrari, the wine ambassador of Yalumba which is located in The Barossa in South Australia., and have lunch with Jane in the Ballymaloe Cookery School earlier in the afternoon. 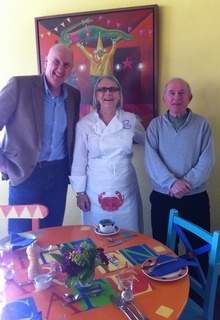 Over lunch, Jane met with ‘’ Famous Auntie Florence’’ (see Jane’s blog here about Aunty Florence here ) and fellow Ballymaloe Sommelier and wine tutor Colm McCan. We had a really interesting conversation about Yalumba and The Barossa as I heading to The Barossa in 2012 to get work experience in the wine industry. 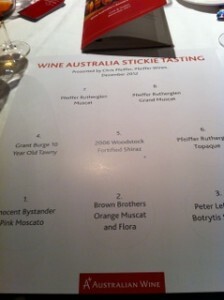 Later that afternoon we attended a wine tasting of a very interesting selection of some of the different wines from Yalumba. 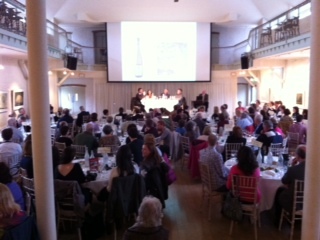 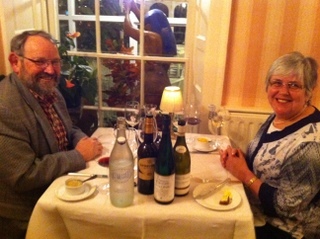 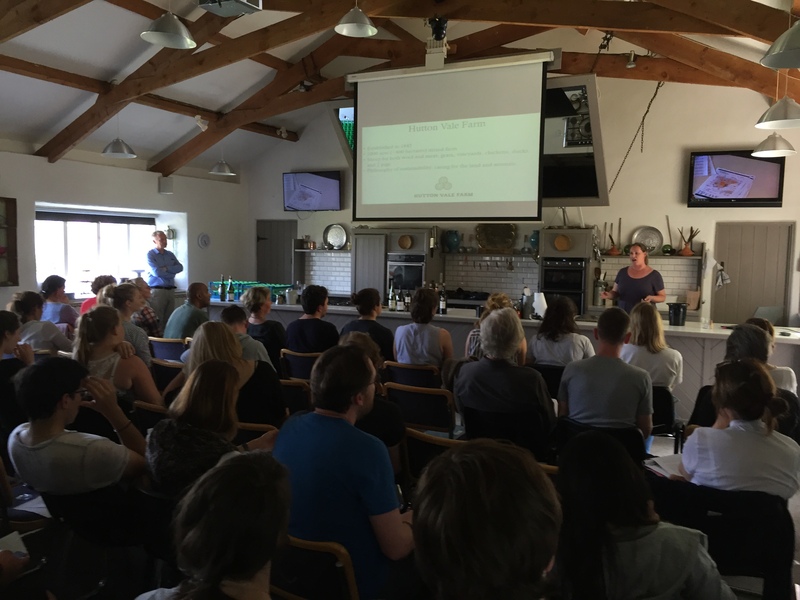 (also see Billy Lyons ‘Restaurants and Food in Cork’ great blog and line-up of wines here about this Yalumba event at Ballymaloe with Jane Ferrari). 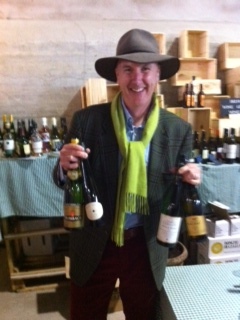 I picked up some very interesting information on the wines. John Quinlan, author of this blog on Jane Ferrari’s visit to Ballymaloe, pictured here at another recent very interesting event at Ballymaloe Cookery School (in the middle of the glasshouse at the Ballymaloe Cookery School – ‘Outstanding in the Field’ – a concept where 100 people have dinner at one long table ‘outstanding in the field’ – as close as possible to the source of the ingredients for the dinner- see Ballymaloe’s Colm McCan wine blog on this event here the blog of The Irish Country Houses and Restaurants Association ‘The Blue Book’. Jane also hosted a great wine dinner that evening in Ballymaloe – pictured are JR Ryall, Pastry Chef, Ballymaloe House, with Jo, Chef, and Colm, Samuel, and John (taking the photo!) 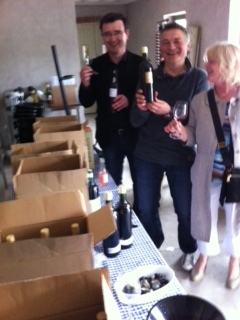 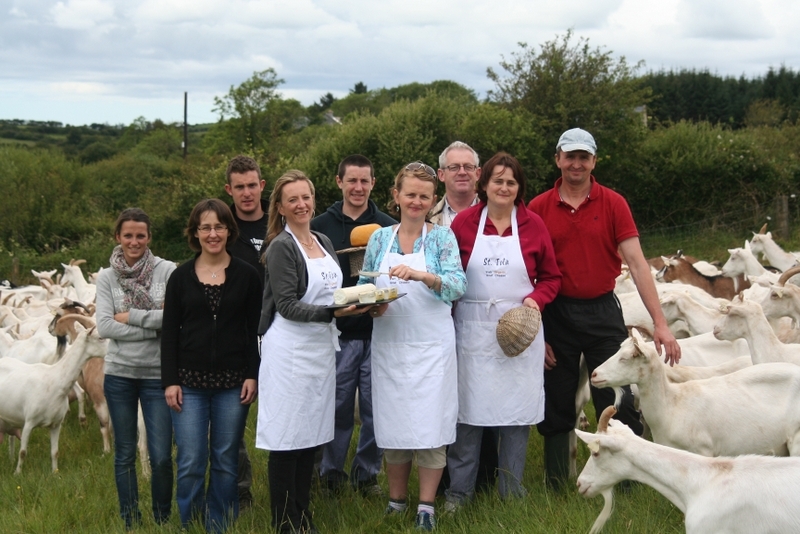 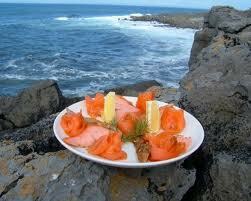 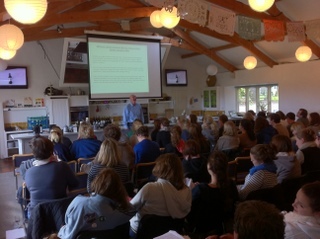 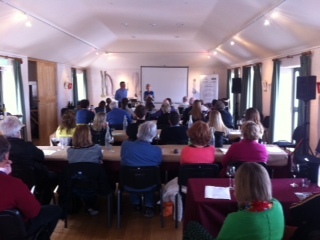 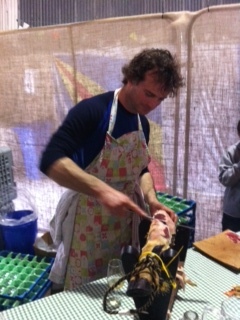 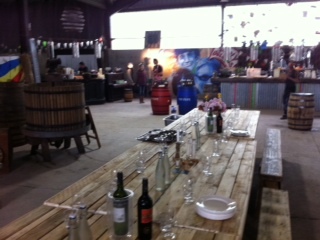 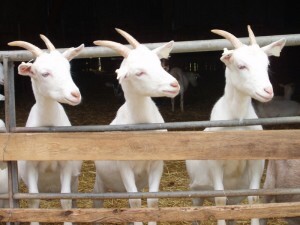 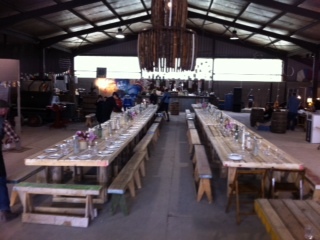 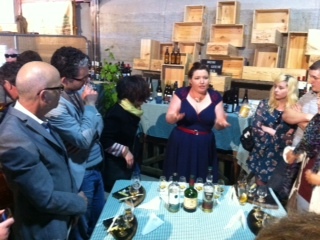 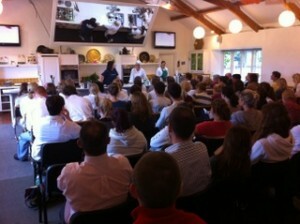 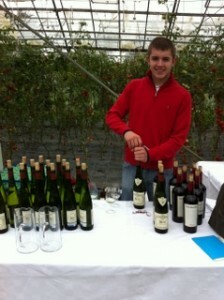 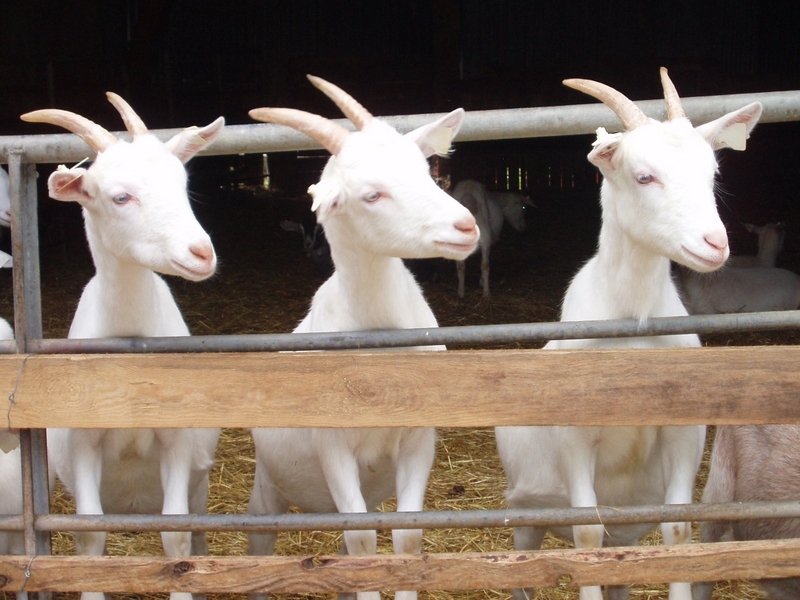 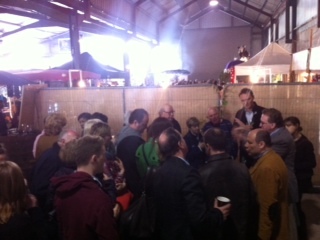 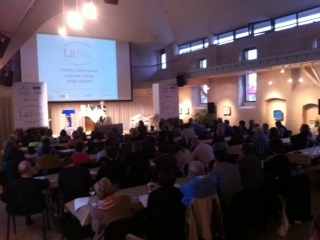 at Ballymaloe working (hard at work – someone had to do it!) 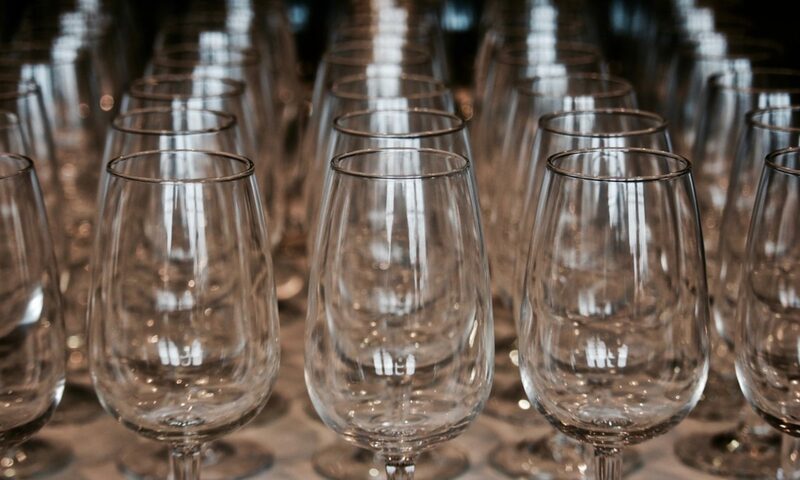 on matching the Yalumba Botrytis Viognier to a desset by JR – we matched it with Raspberry Almond Tartlet, Creme Brulee and Autumn Raspberry Ice-cream – delicious!